Larry James is President of CelebrateLove.com. He has been a full-time professional speaker, author and relationship coach since 1987. At age 10 he made his first sales call. He's been networking and selling ever since. He was in broadcasting for twelve years and was a popular, award winning radio personality in the 1960's and early 1970's. He fully acknowledges his responsibility to practice what he teaches; inspiring others by example. He is a gifted teacher who shares his inspired insight with clarity, style and good taste. His purpose is "Helping Others Help Themselves." He is totally committed to sharing ideas and information that will assist anyone interested in improving the quality of their life! His "Relationship Enrichment LoveShop," adapted from his best selling books, "How to Really Love the One You're With: Affirmative Guidelines for a Healthy Love Relationship!" and "LoveNotes for Lovers: Words That Make Music for Two Hearts Dancing!" is presented nationally. His newest relationships book, "Red Hot LoveNotes for Lovers." Larry is also the author of, "Ten Commitments of Networking: Creative Ways to Maximize Your Personal Connections," now being published in the U.S., India, Korea, Poland, Malaysia, Singapore, Brunei, Thailand, Indonesia, Philippines & Vietnam. In February, 1996, Larry joined the staff of Dr. John Gray, Ph.D. author of "Men Are From Mars, Women Are From Venus." He was on staff with Dr. Gray for eight years. He was also Dr. Gray's personal choice to host the popular "Mars & Venus Chat Room" on America Online for nearly three years. He was a participant in the very first training for trained facilitators of Dr. Gray's "Mars and Venus Seminars." Larry is the former Associate Producer of the nationally syndicated "Mars & Venus" radio talk show. Larry also does Personal Relationship Coaching for high functioning singles and married couples; people who are committed to "doing" whatever it takes to make their relationships work. He is also a relationship coach on www.HealthyPlace.com and www.LoveStories.com. Larry James is an ordained non-denominational minister and performs the most "romantic" wedding ceremony you will find anywhere. He has been voted "Best Officiant" by the Wedding Chronicle's Reader's Poll for 2007, 2008 and 2009. He was also voted "Best Officiant" for 2008 by Arizona Sites and Services Magazine. For more about Larry's "romantic" wedding ceremony, go to: CelebrateIntimateWeddings.com. Record Setting Event for Arizona ~ On Valentine's Day, February 14, 2013, Larry James set an Arizona state record for performing his "romantic" Renewal of Vows" ceremony for 762 couples at the "Love in the Hills" event at Fountain Park, in Fountain Hills, AZ. A special "Thank you!" to WiredUpInstallation.com for their excellent video! Thanks also to Sami Fine Jewelry, Fountain Hills, AZ for producing this record setting event! Click here to watch the ceremony. (about 17 minutes). Larry has appeared on ABC TV's "The View" with Barbara Walters and more than 650 radio talk show guest appearances. He has been quoted in Cosmopolitan Magazine, Red Book, In Sight, Woman's Day, Complete Woman, The Writer, Modern Bride, Arizona Weddings and more. His articles have appeared in Living Solo Magazine, Elite Magazine (Tulsa), Real Estate Today, Singles In Sight Magazine (Phoenix), Single Living Magazine, Business to Business Magazine, Arizona Networking News and Single Magazine (Phoenix), Entertainment Guide of San Diego, The Light (Albuquerque), Friends & Lovers: The Relationships Magazine (Internet), Single Today (Memphis), Single Lifestyles Magazine (LA & Southern California) and many others. 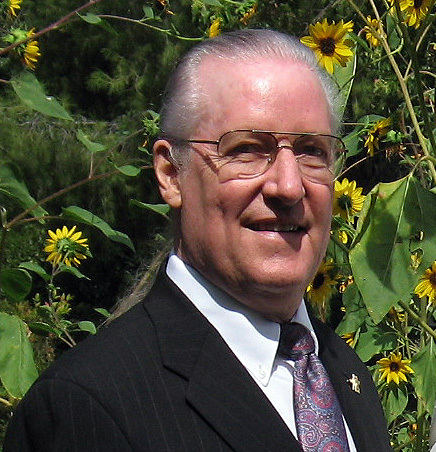 Larry is a founding member and past president of the National Speakers Association - Oklahoma. He has served on the board of directors of the National Speakers Association - Arizona. Larry travels nationally leading seminars and giving speeches of inspiration that focus on developing close personal and business relationships. Larry holds the Honorary title of Kentucky Colonel presented by the Honorable Governor Bert T. Combs in 1963. Read more. For information on Larry's upcoming personal appearances or media interviews, click here.